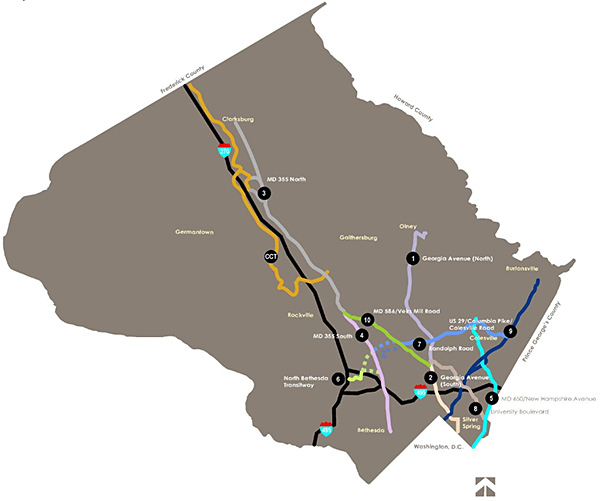 On December 18, 2013, the Maryland- National Capital Park and Planning Commission adopted the Planning Board Draft of the Countywide Transit Corridors Functional Master Plan, as modified by the County Council on November 25, 2013. This Plan provides enhanced opportunities for travel by transit to support Montgomery County’s economic development and mobility goals in an environmentally sustainable way, and in a way that preserves our existing communities. 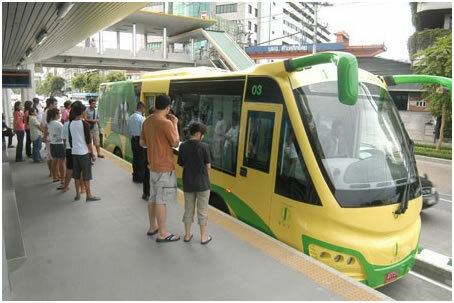 As a Functional Master Plan, it makes no changes to current planned land use or zoning, but recommends changes and additions to the transportation network that are needed to serve the County’s most densely developed areas, areas planned for redevelopment, and areas planned for new dense development. This map below shows the 11 corridors that are included in the Countywide Transit Corridor Functional Master Plan.